Acts 6 – Who were the Hellenistic Jews? This section is sometimes cited as an example of Luke creating a story in order to describe a smooth transfer of leadership from the Jewish followers of Jesus to the Hellenistic Jewish followers. But things are not as smooth as they appear. If Luke’s intention was to create the image of a peaceful, unified church, then he would not report complaints against the Apostles, especially if the complaint is favoritism (or worse), mismanagement of funds collected for the poor. Acts 6:1 says that there was a problem between “Hebraic” and “Hellenistic” Jews. This needs to be explained carefully, since the word “Jew” does not appear in the text (although English translations regularly include it). Obviously these are all Jews, but there seems to be problem between the Jews who are in Jerusalem from “outside” and those Jews who remained on “the inside.” Chapters 6-8 concern the activities of two Hellenistic Jews and their ministry outside of the circle of the apostles in Jerusalem. I would suggest here that Luke has intentionally arranged several stories concerning Peter and John in chapters 2-4, and several stories concerning Stephen and Philip in chapters 6-8. This is not necessarily a geographical division, although doubtless it often was. To be a “Hellenist” was to adopt the language and culture of the Greeks, while to be a “Hebrew” was to adopt a more tradition Jewish language and lifestyle. For Ben Witherington, language is the main issue (see Acts, 240-247, for an excellent excursus on the Hellenists). Bock, on the other hand, agrees more with my sketch of the Hellenists (Acts, 258-9). 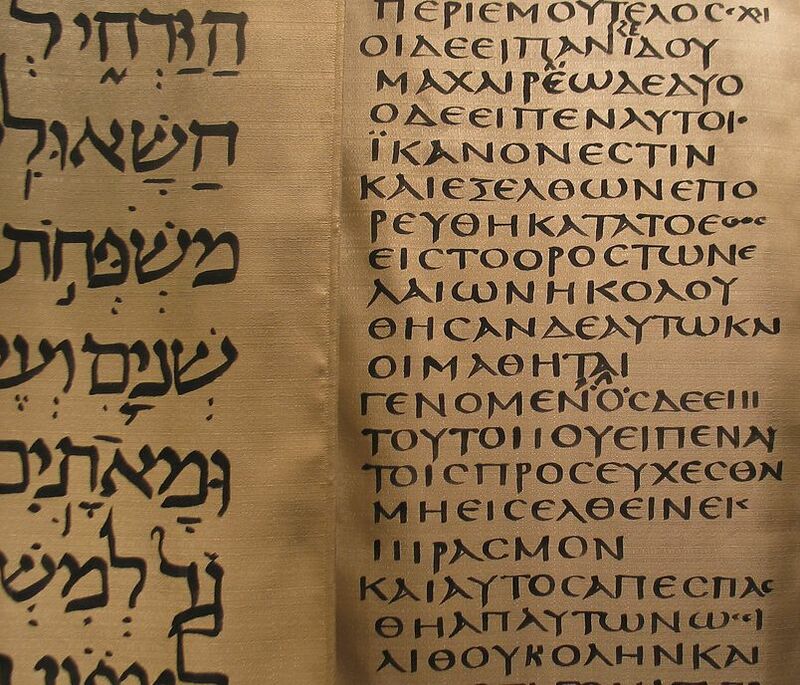 Language is an important issue, but it is not the only issue separating the Greek from Judean Jew. Aside from historical accuracy, does this matter for reading Acts? I think it helps understand that the community of earliest believers were far more diverse than Acts 2-5 would imply. If Peter and John represent the only form of the early followers of Jesus, then it is hard to explain the violent suppression of Stephen. This diversity is less a “development” in the earliest church, but a factor present from the beginning. This idea of Hebraic vs Hellenistic Jews is really interesting to me, at least, because I think we often view Judaism as this one culture and one ethnicity when, in reality, it was more diverse than that. Even in the Old Testament history books and laws, we see mentions of foreigners among the Jews and how they should be treated among the Jewish society. This would ultimately lead to some sort of cultural and ethnic diversity in the population of God’s chosen people. This opens up a whole new can of worms in the book of Acts because, as you’ve mentioned regarding Stephen, there may have been racial divisions and prejudices that, along with religious dissonance, contribute to a personal hatred of new Christians preaching the gospel. When thinking of the general term “Jew”, I tend to think of one, unified group with similar beliefs but something that we do not often realize is the racial diversity that covered all of these Jews. Every sect of the Jews were usually either from a different region or were around for different events. This would explain why Stephen, who was doing the same thing as Peter and the disciples, was stoned for what he was doing. Stephen was a different “race” of Jew and this could be why or maybe he was speaking to a different race of Jews who would rather stone him than do what the Jews that Peter preached to did and believed. You maybe forget that Peter and John were put in prison for their sermons! Angels intervened. I appreciate this post! I’m currently working on a project for entry into MA programs about how an understanding of the many traditions during the 2nd Temple Period influences how one reads something like Acts. More specifically, I’m examining how the Pseudepigrapha tend to present Jewish/Gentile relations before 70 A.D.
Great topic for an MA project, where are you looking to study? Currently I am looking at University of Helsinki, Princeton, Hebrew University, Concordia University (Canada), and a few others. I’ll begin nailing down the schools to apply to around May. Realizing that there were different “types” of Jews who conducted themselves differently is very important in understanding the story of Acts and the Bible in general. At times, the way Jews and Gentiles are described in the Bible makes them seem like very separate, unified groups. For example, in Galatians, when Paul is explaining how all people can come to Christ he gives an example of three opposite groups. “There is neither Jew nor Gentile, neither slave nor free, nor is there male or female for you are all one in Christ Jesus.” (Galatians 3:28) To me, verses like this give off a sense that each group has its own distinct identity or common belief. Although the Jews did have common beliefs, some of their differing views caused problems in the early church. Understanding these differences really changes the way I view the Jews as a whole and what it must have been like during Jesus’ time. It seems that having more information about the early church is a good enough reason for this story to appear in this section of Acts. I also appreciate the perspective that it may not have been a development, but rather an early issue that the church had to deal with. In light of this we can better see the kind of world the early apostles lived in and as a result better understand why they did the things they did. In this way we can use their examples for our learning and try not to repeat things that failed for them (Romans 15:4). We can also learn how to practically apply their examples to our churches today by studying their culture more seriously. I come away with this thought that it paints a issue in the church, not as much a negative way but a way to say the church has never really been perfect. Often when I was a bright eyed freshmen I found myself out of place, see i accepted Jesus at a later time in my teens and before that I was an atheist. When a teach said “reach into the parable of the two sons and tell me the application”, but me a younger believer did not have this memory of awana and sunday school teaching times. Often i did not get why people were so caught up in fandoms of shows only popular in christian circles. I was not the favorite and it matters now as it did then. ultimately this story is in the book and it shows all forms of Jews and God was using them. When I think about Judaism, I never thought about if there were divisions or not but in Acts 6:1 we see that there is a division of Jews. There are the Hebraic Jews and the Hellenistic Jews. There is also a problem that arises between both divisions of Jews. It appears that the widows among the Hellenistic Jews were being overlooked in the daily distribution of food. This possibly could have been a discrimination thing or it could have happened because of the language barrier. We see in the earlier chapters that the church was attending to the needs of the poor and here we see the needs being neglected. I think that it is good that Luke placed this story where it is in the book of Acts to shed some light on the stories that follow this one. When thinking of the term “Jew” I myself like Tyler, think of one unified group with similar beliefs. I tend to think that way for almost every religion. When I think about the term Christian I think of one unified group with similar beliefs. Also when reading this I see that there is dissection among the Jews. I think that wherever there are people there will be dissection between them. I say that because it is hard for people to have the same goals. Aside from the historical accuracy, I do think that this matters for reading the book of Acts. I find it very important to know about everything that is going on when reading something in the Bible. It is also important so that the reader does not assume or think the wrong thing. In this case, there are a lot of things going on. There is a dissection and discrimination going on between the Jews. So yes I think this information is valuable to know when reading Acts. While, as others have said, we may be inclined to think of first-century Jews as being one community, clues in the book of Acts would tell us otherwise. Pentecost is a great example of this. The apostles were gathered together in Jerusalem for the purpose of celebrating a Jewish festival, and they were filled with the Holy Spirit, who enabled them to preach. Near them were many other Jews (from all over the known world), who each heard “their own language being spoken” (Acts 2:6). The passage then lists something like 16 different Jewish groups that were present. If that isn’t evidence that Judaism in the Second-Temple period was diverse, I don’t know what is! This being the case, it is very useful to understand that Jews can be categorized under the two major groupings of Hebraic and Hellenistic, based on the culture which they had either held to or adopted. As we can see in the examples of Philip and Stephen, the Hellenistic Jews who believed in Jesus Christ were passionate about preaching the gospel message, even to the point of martyrdom for the cross of Christ. A common thread through out humanity be it Hebrew or gentile is that one group will discriminate against another picking out physical features dress language what ever is different from themselves or the accepted norm of the dominate culture. We can look to the political setting today in the U.S. this being a election year, look at the fictionalized in fighting between gop members and the democrats. They fight with one another until a opposing force comes at them then they unify. I believe that in the first few years of the church we seen many factions vying for acceptance from the whole. In the end result the truth won out. The church established the acceptable doctrine that was pleasing to all the faction by enlarge. Others spun off and into oblivion. If in doubt look to the changing of the guard from Peter to James and son on. The church is a living breathing organism that is growing day by day. Why was there enough Hellenists to lodge a complaint about food distribution? Where did all the Hellenist widows come from? Did they wander into Jerusalem for the senior buffet? How were they able to appoint so many Greek-named men to help? And why did so many men from various geographic locations rise up against Stephen (6:9)? Seems like a lot of “foreign” Jews around Jerusalem for a long time after Pentecost. How about this: They were Christian Hellenistic Jews who were convinced Jesus was the messiah and was about to return at any moment, so why return home? Why not stay in Jerusalem until Jesus returns?